The refusal of Henri Falcón and Javier Bertucci, the two main opposition presidential candidates on May 20, to recognize the electoral results bodes poorly for Nicolás Maduro’s new term as president. The consolidation of a moderate bloc within the opposition that Falcón represented which recognizes the government’s legitimacy would have significantly cut into the strength of the more intransigent or radical parties on the Right and provided Venezuelan politics with much needed stability. Maduro needs political capital and a degree of support from outside the Chavista movement to tackle such pressing problems as four-digit annual inflation, an appalling deterioration in the standard of living of both popular and middle sectors, and oil industry mismanagement resulting in a decline in production. Two urgent tasks loom as major challenges: On the one hand, there are deepening efforts to combat corruption in the country, beginning in the latter months of 2017 (as discussed below). Second, Venezuela must bring the nation’s officially set prices, including foreign exchange rates, within closer reach of production costs and market prices. Products and services such as gasoline, cooking gas, and Caracas’ metro are virtually free with rates charged by the state telephone company CANTV not far behind. Given the nation’s intense polarization, bold and necessary government measures such as these are bound to generate popular or bureaucratic resistance that the opposition will exploit. Contributing to the volatility is the hostile position assumed by Washington as well as Venezuela’s Latin American neighbors and the European Union. In August 2017, the Trump administration prohibited the purchase of Venezuelan state bonds and the Venezuelan-owned, U.S.-based Citgo petroleum corporation’s remittance of profits, and then banned transactions involving Venezuela’s new cryptocurrency, the Petro. In February of this year, the parties of the MUD pulled out of negotiations with the government conducted in Santo Domingo in spite of various concessions and optimism about a potential agreement. According to Maduro, the decision was a response to pressure from Washington. The Trump administration’s characterization of the Maduro government as a tyrannical dictatorship and a veritable narco-state undoubtedly also influenced the MUD’s call for an electoral boycott, even after Acción Democrática (AD) Secretary General Henry Ramos Allup announced his presidential candidacy in January. The only important parties in the opposition camp that ended up participating on May 20 were the social-Christian COPEI and the Movimiento al Socialismo (MAS), both of which backed Falcón. Falcón’s refusal to recognize the electoral results on May 20 was far from inevitable. Indeed, Falcón emerged as a major national leader on October 15, 2017 when he acknowledged his defeat in his bid for reelection as governor of Lara, unlike the position other opposition gubernatorial candidates assumed. A concurrent event appeared to signal a major break-off from the opposition bloc, which over the previous two decades has for the most part denied the legitimacy of both the Hugo Chávez and Maduro governments. Four of the opposition’s five elected governors, all belonging to AD, disobeyed party orders by agreeing to take their oath as elected officials in front of the Chavista-dominated National Constituent Assembly. Important differences and tensions between the radical opposition and Falcón arose during his presidential campaign. Chavista leader Diosdado Cabello told journalist and former leftist presidential candidate José Vicente Rangel: “The worst that has been said about Falcón has not been by us, but rather the opposition.” In an example of ugly name-calling, two renowned international journalists who sympathize with the Venezuelan radical opposition—Andrés Oppenheimer and Jaime Bayly of Peru—called Falcón a two-time “traitor:” first for breaking with Chávez after being elected governor of Lara in 2010, and then for breaking with former opposition presidential candidate Henrique Capriles after serving as his campaign manager in the 2013 presidential elections. Behind the conflict among the anti-Chavistas, there is a glaring fact: Venezuela is divided in three, not two, camps—the radical opposition, the Chavistas, and a middle ground lacking in well-organized leadership. This middle ground—a sizeable percentage of the population opposed to Maduro—firmly rejects the type of street protests (the guarimba) carried out in 2014 and 2017 by the hard opposition that resulted in widespread disruption and violence. These Venezuelans are equally opposed to the U.S. economic sanctions imposed on the nation with the encouragement of the radical opposition. 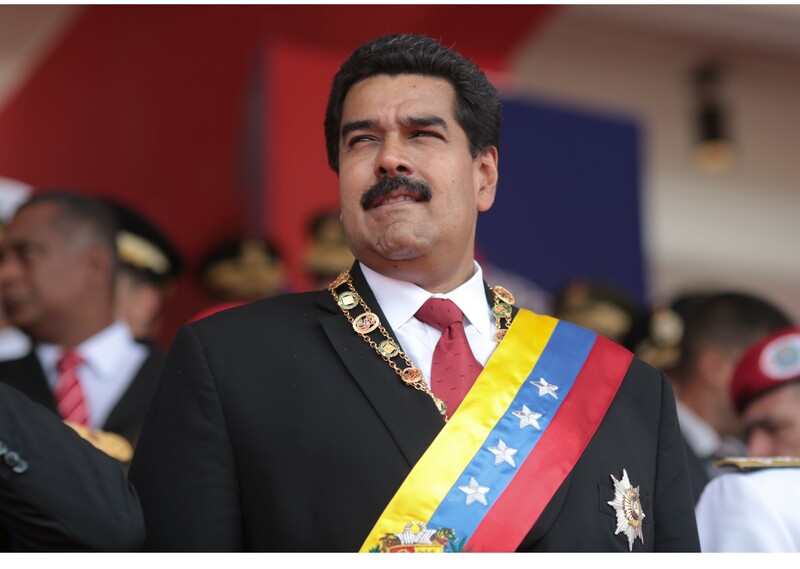 According to the polling firm Hinterlaces, 71 percent of the population disagrees with international sanctions to oust Maduro from office. The “middle ground,” which is especially well-defined on the issue of violence, is the space Falcón occupied throughout the campaign. This same space is now being occupied by Bertucci who has accepted participation in the national dialogue which Maduro proposed following the May 20 elections. In this moment, Maduro’s priority is to minimize the effects of both the sanctions and the violent resistance to his government so he can enact necessary economic reforms. The day after the elections, Trump, as expected, issued an executive order tightening the financial sanctions, but the real source of alarm is the possibility of an oil embargo currently under study by the State and Treasury Departments and the National Security Council. Also on May 21, street disturbances against the elections broke out in various cities, signaling the possibility of a reenactment of the guarimba at the national level at a time when Venezuela is even more isolated than a year ago. The issue of foreign-imposed sanctions has the potential to unify much of the nation while isolating the radical opposition, which supports the measures. But for this to happen, the government needs to improve its communication strategy by documenting the concrete ways that the sanctions are affecting the economy. Government rhetoric too often harps on the “economic war” against Venezuela in the abstract without going beyond slogans and pointing to the specifics. Radical opposition leaders flatly deny that the economic sanctions are at all related to Venezuela’s economic difficulties, which they attribute exclusively to Maduro’s mistaken policies and corruption. Others recognize that the sanctions complicate matters for the Venezuelan government but claim they have had “limited” effect. Government errors and politically motivated economic disruption, however, are not mutually exclusive. Equally or more important than the sanctions per se is the message that the executive orders issued by Obama and Trump sends to private capital. No U.S. company can ignore the seriousness of a statement by its nation’s president that a foreign government represents an “extraordinary threat to national security,” in Obama’s words, or that it is involved in drug trafficking and money laundering. These statements have undoubtedly contributed to the disinvestment that has wreaked such havoc on the Venezuelan economy. One of the multiple effects of Washington’s campaign against the Venezuelan government is the corporate exodus of recent years, which includes Clorox, Kimberly-Clark, Ford, Colgate Palmolive, General Mills, and General Motors. Although the companies blamed the Maduro administration for their decision, political and economic motives in situations like these are always mixed and difficult, if not impossible, to untangle. Chavistas view the exodus as an expression of the “economic war.” When Kellogg’s shut down operations on the eve of the May 20 elections, Maduro remarked that company executives “believe people are going to get scared” and thus refrain from voting for him. Acknowledging the problem of inefficiency, corruption, and mismanagement should not detract from the recognition that Washington’s hostile actions have impacted the Venezuelan economy in major ways. The oil industry is a case in point: Attorney General Tarek William Saab, who was appointed in August 2017, has well documented unethical practices in the industry, which have resulted in numerous arrests of top executives of the state oil company, PDVSA. But the company has also been a victim of the sanctions, affecting its relationship with major oil service providers such as Baker Hughes, Halliburton, and Schlumberger. In order to avoid a direct relationship with PDVSA, these U.S. companies now work through an intermediary firm that makes use of their equipment and personnel while taking a fair cut of the profits from Venezuela. At the same time, Chevron, the only U.S. oil company with a major presence in Venezuela, has refrained from making significant investments in the recent past. Following the May 20 elections, various opposition spokespeople called for unity among the anti-Chavistas. AD’s Laidy Gómez, governor of the state of Táchira, declared: “This is not the moment for us to lay blame on one another. We have a common enemy to confront.” Achieving such unity, however, will not be easy, given the profundity of the differences separating those who called for an electoral boycott and those favoring participation. A look at the differences sheds light not only on the chasm between opposition “moderates” and radicals, but also the different ways ordinary Venezuelans view key political issues. The contrast between the two camps also suggests the feasibility of an understanding or convergence involving the Chavistas in power and the opposition moderates, at least on certain issues. Boycott versus participation: The radical opposition, the Trump administration and much of the corporate media label the Venezuelan electoral process “fraudulent,” which refers to manipulation in the counting of votes. Over the years, the opposition has used the term loosely. Nevertheless, the nation’s voting system is based on simultaneous manual and electronic procedures as well as auditing in over 50 percent of the voting centers. Furthermore, on May 20, as in past elections, opposition representatives at all voting centers signed documents validating the process. Falcón’s supporters, fearful that the use of the term “fraud” would discourage voting, limited their concerns to irregularities and the lack of a level playing field. The secrecy of the voting process was never seriously questioned; Falcón’s objections on May 20 were not focused on the National Electoral Council (CNE) adding false votes for Maduro, but rather voter manipulation. Falcón and others claimed that assisted voting conducted for the elderly lent itself to dishonest practices, and that some Chavista stands, known as “puntos rojos,” were located within the 200-meter parameter of voting centers, violating electoral norms. The one accusation that may have significantly influenced results was the effort to sway people by promising them a bonus if they went to the polls (though those who were influenced by the bonus didn’t necessarily vote for Maduro). No to impunity: The radical opposition openly calls for the purging of the state apparatus in order to eradicate corruption at all levels. In contrast, Falcón’s strategy was clearly designed to win over discontented Chavistas. Falcón pledged he would decree a moratorium on layoffs in the public administration while his party indicated that, if elected, he would consider retaining Maduro’s Defense Minister Vladimir Padrino López, a Chavista stalwart, in his post. The road to power: The radical opposition’s decision to boycott the elections reflects its skepticism about the feasibility of achieving objectives, including neoliberal structural reforms, through electoral means. In early 2016 when a campaign was underway to collect signatures for a presidential recall, the radical Voluntad Popular (VP) party, led by jailed Leopoldo López, advocated for a constitutional assembly to rewrite the country’s constitution. VP leaders argued that removing the president and electing a new one would not ensure the achievement of the changes the nation needed. Underlying the MUD’s hardline position on elections was the strategy for the complete undoing of the changes implemented by Chávez and their replacement with neoliberalism, shock-treatment style. Popular resistance to drastic change of this nature could not be discarded. Among the measures proposed was to privatize strategic sectors of the economy which the current constitution, ratified in 1999, prohibits. 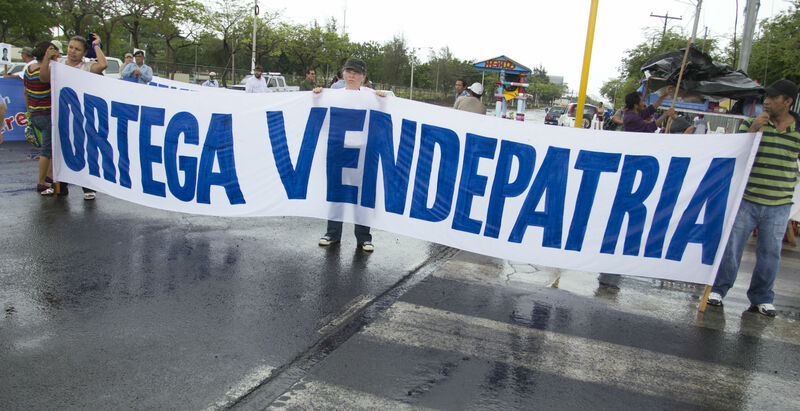 This approach, which implied a major shakeup possibly through forceful means, contrasted with Falcón’s, which emphasized peaceful change and was concerned an electoral boycott would lead to violence. José Vicente Rangel, who occupied various top positions under Chávez, including the vice presidency, has long been the foremost advocate of promoting dialogue with sectors of the opposition. (Such a strategy does not rule out measures that inspire and mobilize the Chavista rank and file.) The issue manifests itself through an internal rivalry within the governing United Socialist Party (PSUV) between the two main long-standing factions headed by Maduro and Diosdado Cabello, who is a hard-liner on Chavista relations with the opposition. At one point, the Cabello faction had hoped that he would be the party’s presidential candidate, a proposition publicly expressed by national leader Francisco Ameliach. In recent months, Maduro’s faction has been strengthened partly as a result of the anti-corruption campaign spearheaded by Tarek William Saab. Maduro’s call for a national dialogue on May 22 is nothing new. In fact, the proposal dates back to the months of the guarimba protests in 2014. But the emergence of a new, more moderate reference point within the opposition camp as a result of the Falcón candidacy enhances the plan’s chances of success. Indeed, Enrique Ochoa Antich, a leading Falcón supporter, indicated willingness among those who participated in the campaign to take part in the dialogue proposed by Maduro. Throughout the campaign Falcón performed a balancing act between demonstrating to the opposition that he was not soft on the government and trying to attract discontented Chavistas. The future of his movement is very much up in the air. The neoliberal formulas put forward by Falcón including mass privatization, agreements with the IMF and the dollarization of the economy are not common denominators for the Chavista government to build on. But there is one key issue that can bring the two sides together. If Maduro attempts to link the nation’s price structure to market conditions in order to combat rampant inflation, he will need political support and such an effort would be perfectly compatible with Falcón’s economic positions. Maduro’s options are limited given Venezuela’s isolation on the international stage, the direness of the economic situation, and the level of dissatisfaction in the nation. But Maduro needs to take advantage of the moment; solutions to the nation’s pressing problems require bold moves. In the past, Maduro has failed to take advantage of favorable moments, but after five years as president he may have learned the importance of timing. Whether this is the case will be evident in the coming days. Steve Ellner’s most recent article, “Implications of Marxist State Theory and How They Play Out in Venezuela” appeared in the journal Historical Materialism.